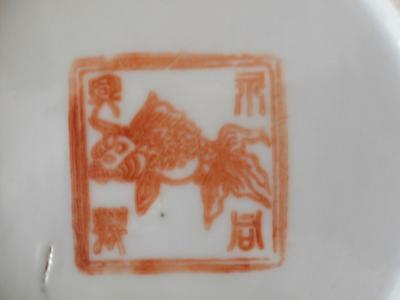 this pot is marked at the bottum with a (gold) fish and 4 characters. The dragon has 5 toes. 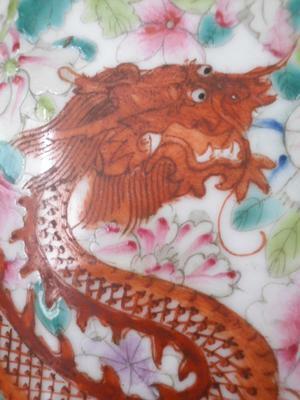 Could it be chinese or is it japanese or thai ? And is it old, or rather new ? Thank you in advance for your expertise ! 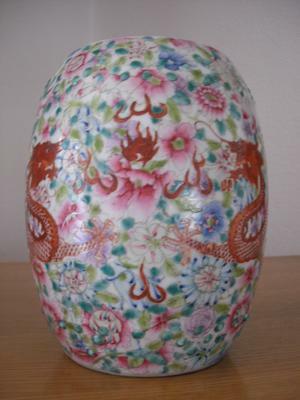 I would think this is second half of 20th century, Chinese. 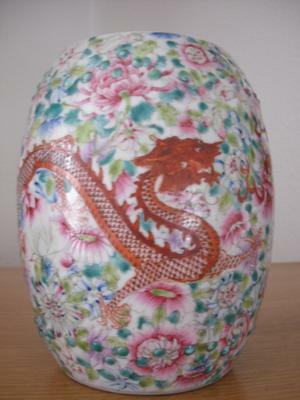 As I never saw such a pictorial mark, I have been thinking if it might have been made/painted in Hong Kong or Macao? Vintage at the most, judging from painting style alone. The bottom would be needed to evaluate age better.